Grow The Humble Lettuce - Not as Boring as You Might Think! | Grow Your Own Veg Blog. Gardening and Food Blog. Grow The Humble Lettuce - Not as Boring as You Might Think! 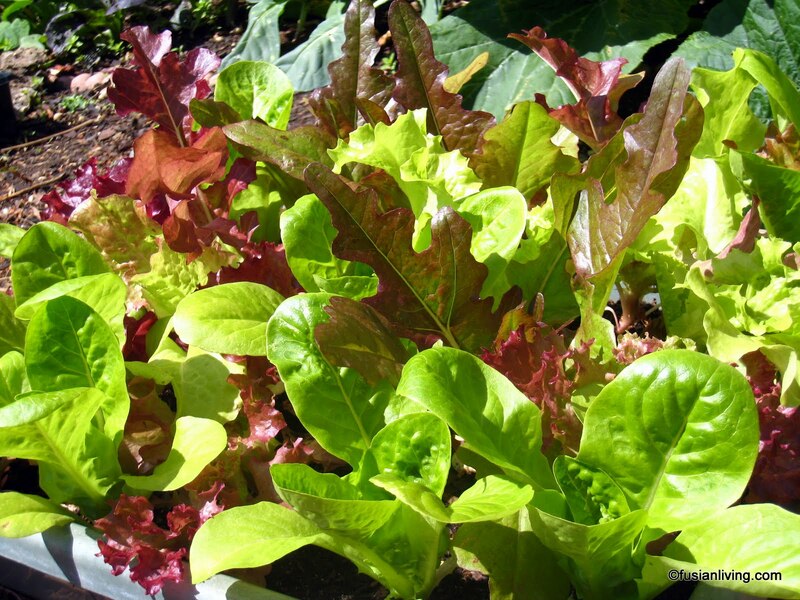 If you are looking for something easy to grow and eat, then why not give the humble lettuce a try? Its one of the easiest vegetables you can grow from seed, and it is the best feeling to have a scrumptious salad made from fresh homegrown lettuce leaves. And the best part is that you don't need a garden to grow these, you can use just about any container for it. In the above picture, I am using a recycled plastic tray with holes drilled into it for drainage, to grow a mixed variety of red and green lettuce. Since I plan to harvest the leaves often, I have spaced them fairly close together as they won't need to grow to full size. These seeds were from B&Q and contain a mixture of Catalogna, Cocarde, Curled Red American, Grand Rapids, Red Salad Bowl and Rossa di Trento. And such a bargain at just 38p for 1,300 seeds! You can also use common food packaging like the bottom half of a juice bottle or the plastic containers that store bought grapes (or cherry tomatoes) are packaged in. I normally use these to sow seeds in before planting out, but this red lettuce seems to be quite happy growing from it, so I'll leave it in a little longer, I think! But frustrating as it may have been, the wait was definitely worth it, because I just love the taste and texture of Lamb's Lettuce and thrown together with things like grilled courgettes, they make a really great warm salad. Another reason that I am a fan of these is that they are not being attacked by anything despite being surrounded by a myriad of pests like caterpillars, slugs and flea beetles. Yippeee, so, along with the coriander, these are my other favourite vegetable that don't attract the nasties. How long do salad leaves take to grow? During the summer, the mixed lettuce I grew took about four weeks to grow from seed to the point I could harvest individual leaves. The Lamb's Lettuce was slower to grow and because it grows in a tight rosette, it makes it more difficult to harvest individual leaves. 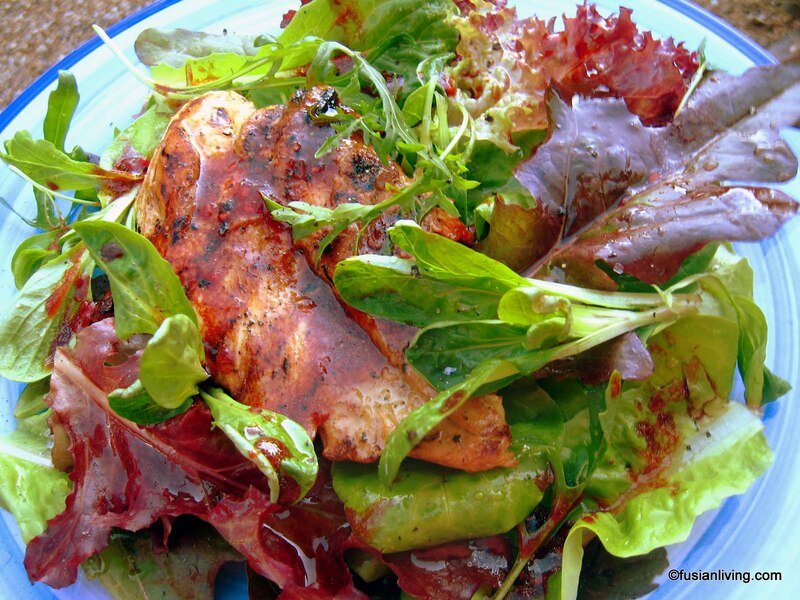 According to the British Leafy Salad Association, "the warmer it is the faster the plants grow. In the early and late part of the season leaves take on average 2½ months to grow while in mid-summer, at the height of the season, the growing time is between 6 and 8 weeks. For loose leaf varieties, the growing time can then be anything from 28 to 70 days." Now, eat your your homegrown lettuce! 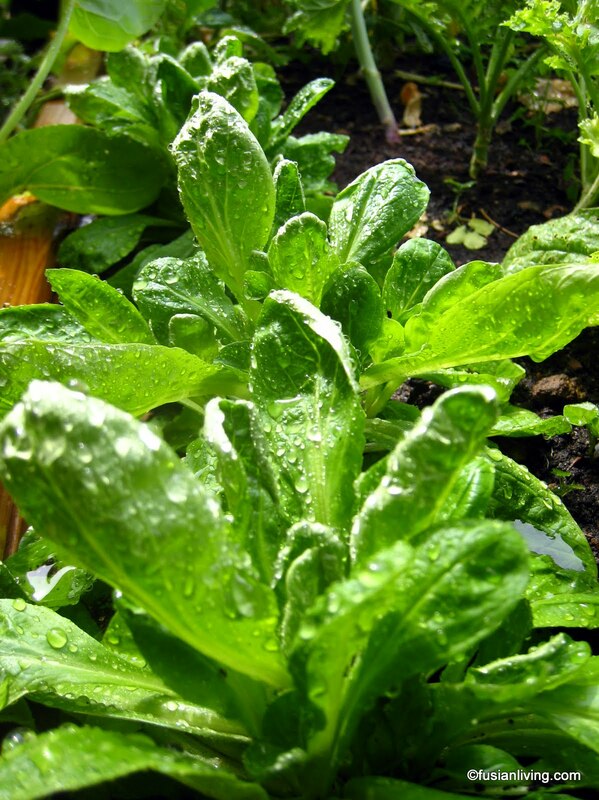 Lamb's Lettuce was sowed in April (sowing period is March - May or August - October). Most of the seedlings were then planted out into larger containers or into the ground. Growing: Pests like caterpillars, slugs will be attracted to lettuce except for the Lamb's Lettuce which they seem not to like. I am growing my lettuce in containers raised off the ground, so the slugs are not a problem. Flea beetles ate their way through my wild rocket like a swarm of locusts but by keeping the soil and plants well watered, they seem to be less of a problem. 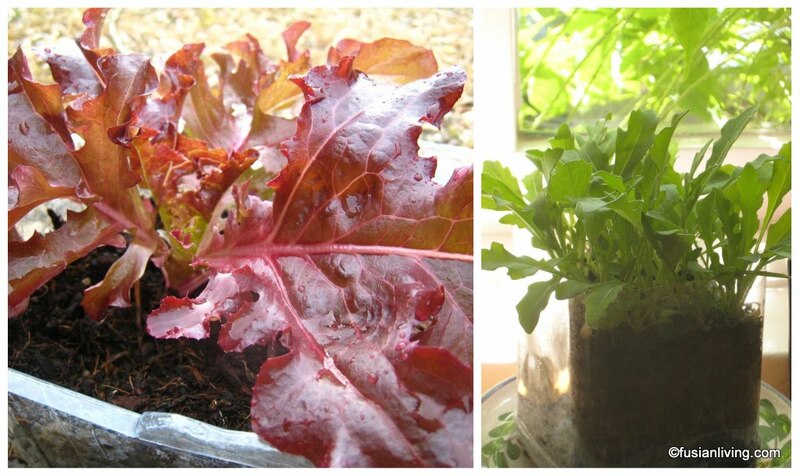 Harvest: The mixed lettuce and Rocket took about four weeks. To harvest, snip off leaves as you desire for cut and grow again vegetables. The Lamb's Lettuce has taken approximately three and a half months (but were sowed in April when it was cold). I harvest these as a whole head and break them up into mini rosettes.